Intel new Core X-Series processors focus on premium content creation platforms. The company also introduced its fastest consumer-focused processor yet, the Core i9-9900K. For much of the last several years, when you thought of desktop PCs, you generally thought of conformist grey boxes. Some were thinner than others, some more powerful, some came in gaudy colors, but all felt basically the same. With the advent of inventive devices like of Microsoft’s Surface Studio, though, that perception has rightly started to shift. Intel’s latest processor update, focused on on power and flexibility, hopes to advance that renaissance even further—and faster. That’s no easy task. Moore’s Law has long since faded, with processor gains coming less from traditional means than from clever physics. But while this year’s Intel desktop lineup doesn’t include a breakthrough on the order of last year’s whopping 18-core, 36-thread behemoths, it does show plenty of improvement, in the places you’d want them most. That balance comes in the form of the new Core i9-9900K, Intel’s first high-volume 5Ghz speed processor, and its first mainstream desktop processor to squeeze in eight cores and 16 threads. 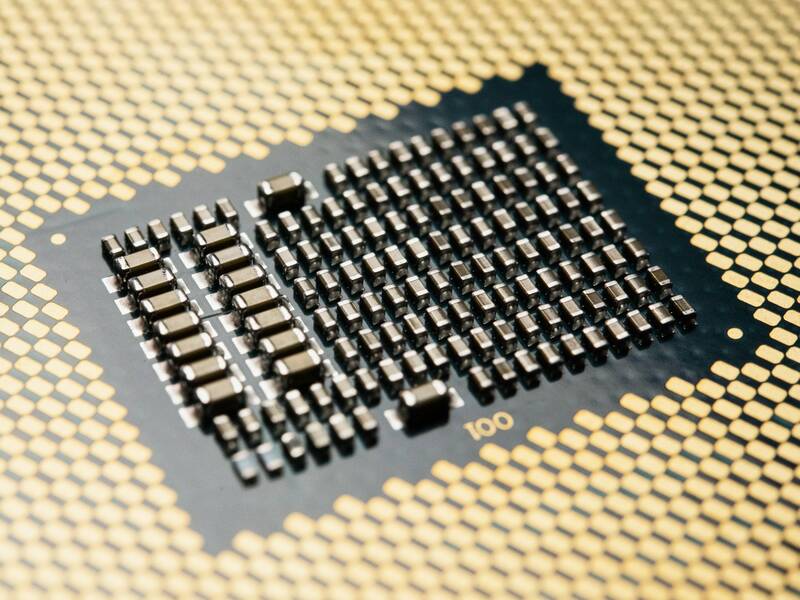 (Last year’s 18-core monster was a $1,700 X-Series chip; the Core i9-9900K costs closer to $500.) For its new Core lineup more broadly Intel’s claiming performance gains of up to 10 percent more frames per second over last year, and up to 37 percent gains over a three-year-old PC. The new chips are available to order today. Gaming processor performance increasingly needs to be measured not just in power and speed, but in how well it multitasks. Gameplay no longer happens in isolation; it gets streamed over Twitch, and edited and uploaded to YouTube. That’s where those threads come in handy; the more a PC has to work with, the more dedicated tasks it can juggle simultaneously without choking up or slowing down. Intel has revamped the X-Series as well, once again offering up to 18 cores and 36 threads. These are strictly for professionals, which the other improvements reflect: up to 68 PCIe lanes, to accommodate multiple video cards and such, and the ability to dedicate the two fastest cores to your most critical workloads. It’ll be available in November. And then, coming closer to the end of the year, there’s the Xeon W-3175X, a workstation CPU with 28 cores and 56 threads, and speeds up to 4.3 GHz. In a presentation Monday, Intel claimed that on at least one benchmark, the Xeon W-3175X outperformed everything but multi-processor machines. As far as specific, tailored improvements, Bryant points to features like Quick Sync Video—first introduced in 2011—and memory architecture improvements attuned to gaming-specific needs. For the creative class, he touts Intel’s efforts to offer both high-quality multithreaded and single-threaded performance, rather than stressing just one. Separately, this year’s chips offer a more functional improvement: Intel says they won’t be susceptible to the crippling Meltdown and Spectre attacks that were disclosed in January. The background to all of this, of course, isn’t just the resurgent PC market, but Intel’s place within it. Rival AMD has become increasingly competitive, Moorhead says, and has taken some marketshare in the very categories Intel has highlighted. “I feel like every one of these is in response to what AMD has brought to the table,” says Moorhead of Intel’s product reveals. AMD’s Ryzen line, for instance, introduced 8 core in a consumer-grade chip in 2017. That’s less to say that AMD has an edge—cores don’t automatically equal performance—than to underscore how the rivals have pushed each other, to your benefit. That dynamic plays out especially in the gaming arena, where people refresh their equipment more quickly, and brand loyalty rarely comes into play. They simply want what’s best right now. The CPUs Intel introduced Monday make a compelling case to be just that. The company also still has room to grow, or rather to shrink: It’s still building its chips on a 14nm process, rather than the smaller 10nm process of the future, where even larger efficiencies could be realized. (AMD, for what it’s worth, has already shown off a 7nm prototype.) And other desktop use cases with potential—specifically virtual or mixed reality—remain “early days,” Bryant says. Meanwhile, the PC resurgence continues apace. And while Intel’s latest improvements may not include a blockbuster breakthrough, they do offer high-end performance, specific to your needs, in a relatively reasonable price and package. It’s the kind of lineup that feels like a strong foundation, for a PC present—and future—that so many had written off years ago. Very interesting info about i9. Thanks.